New students registering for spring semester can now take their assessment test and attend their orientation session on select Saturday mornings or Tuesday nights. Saturday morning sessions have been added on Nov. 17, Dec. 8, and Jan. 5. The assessment test will begin at 8 a.m. followed by a new student orientation at noon. Tuesday evenings sessions have been added for Nov. 27 and Dec. 11. They begin at 6 p.m.
A complete list of orientation and assessment sessions can be found here. The orientation and assessment session provides students with information they need to be successful in college, and after the session, they can set up an appointment to meet with an academic counselor. New students must attend the orientation and assessment session to become eligible to register for classes. 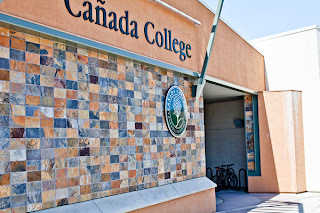 You can register for the “Orientation and Assessment Session" by calling the Welcome Center, (650) 306-3452. Please note, space in each session is limited. The Saturday and Tuesday evening sessions will be especially popular and should fill up quickly. If you have taken an assessment test at another California community college or have completed coursework at another college that you think fulfills this requirement, you must contact the Counseling Center at (650) 306-3452 for assistance.